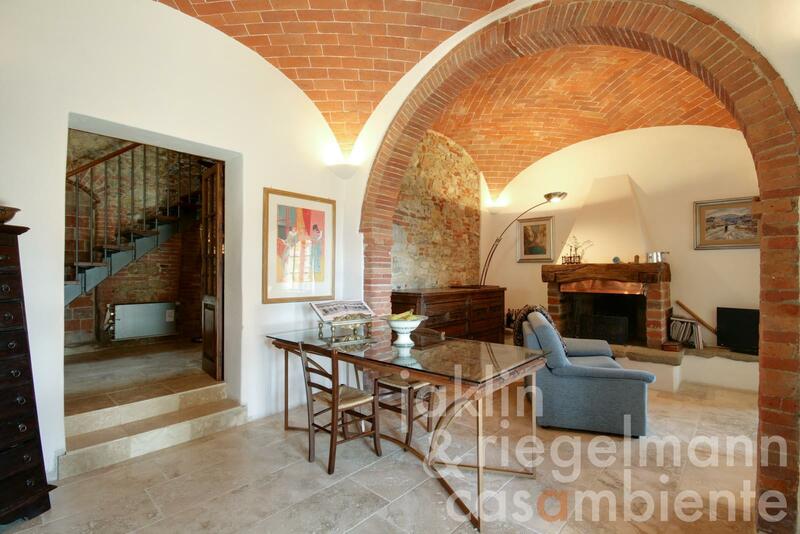 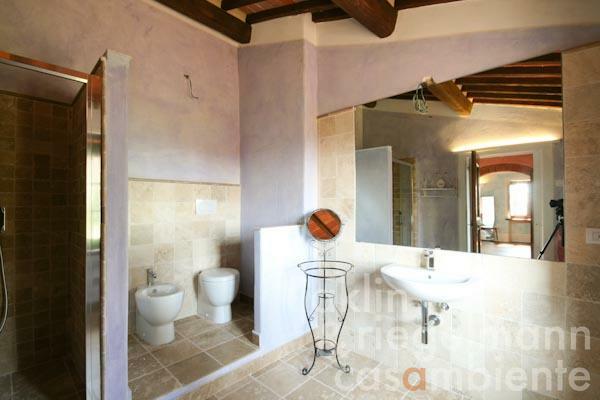 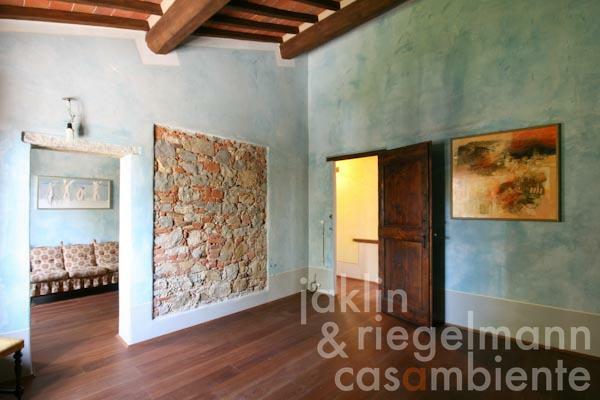 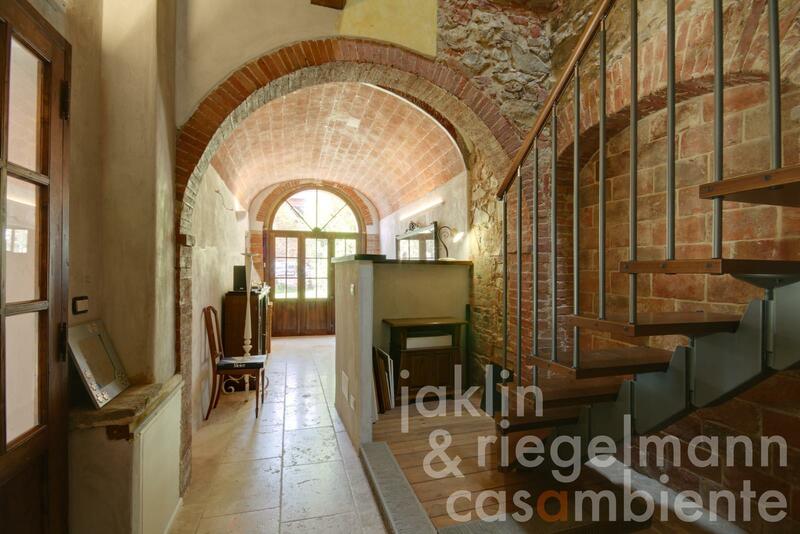 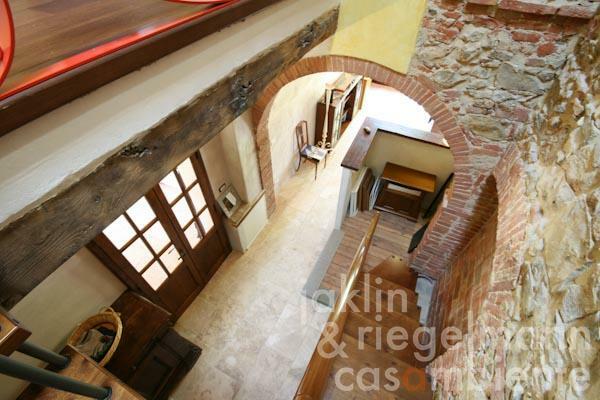 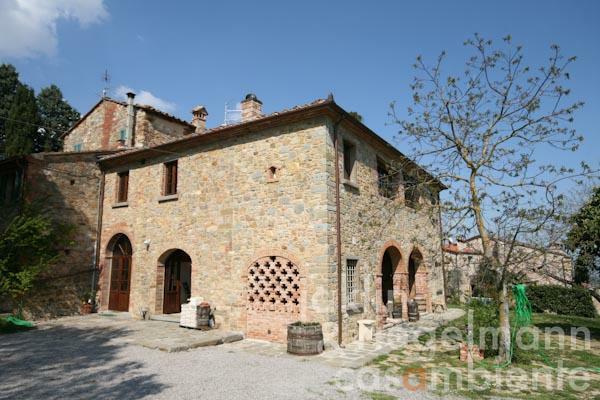 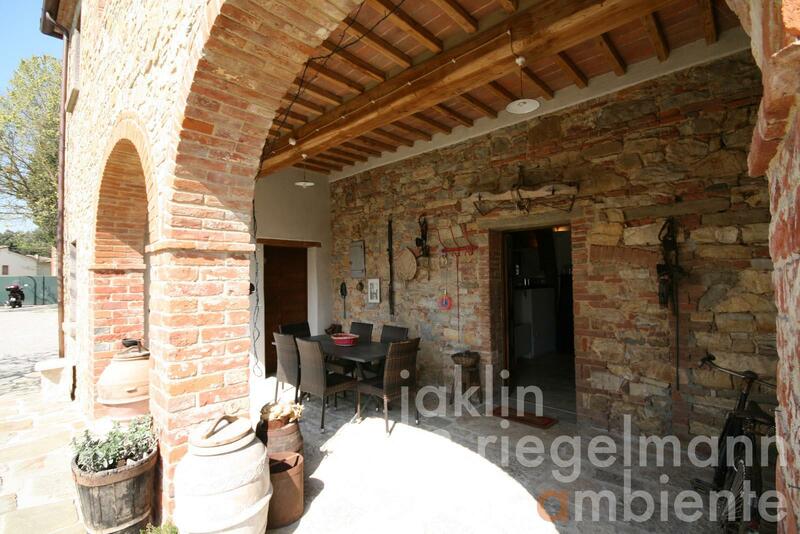 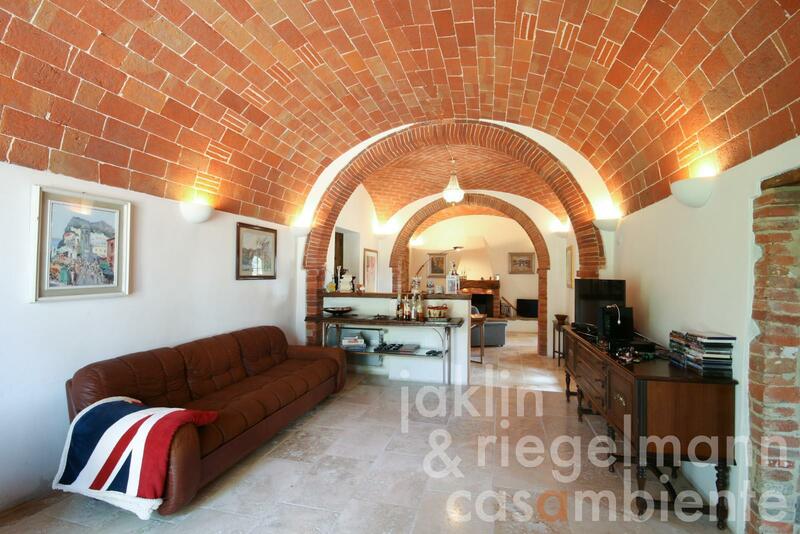 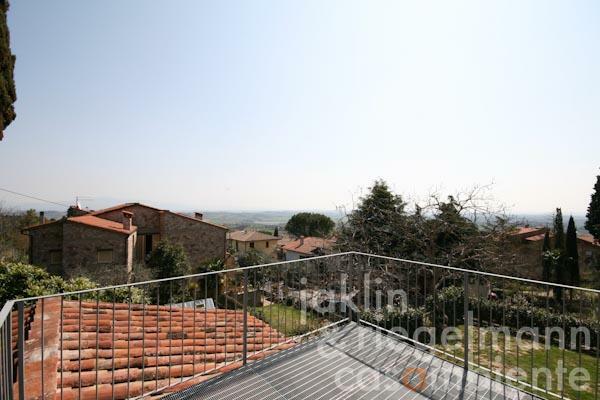 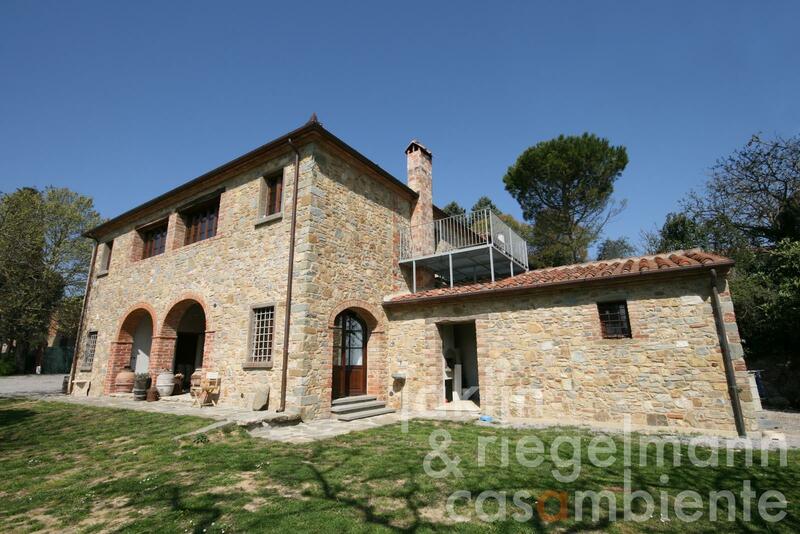 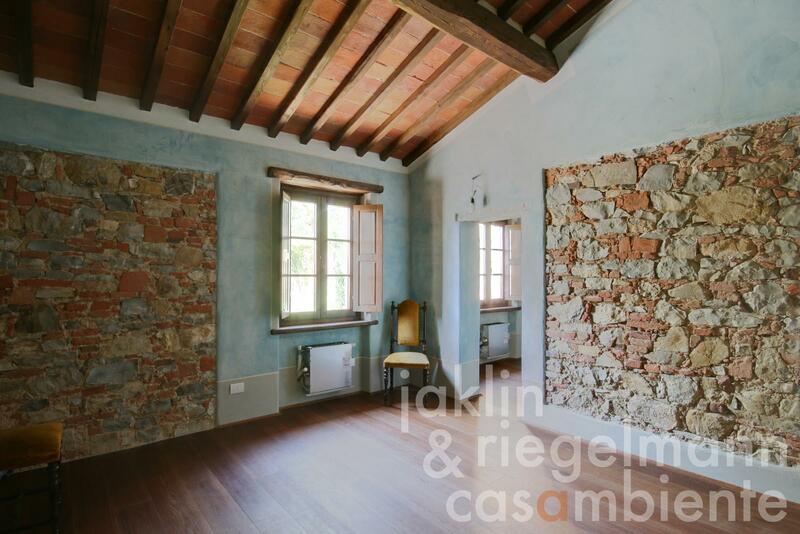 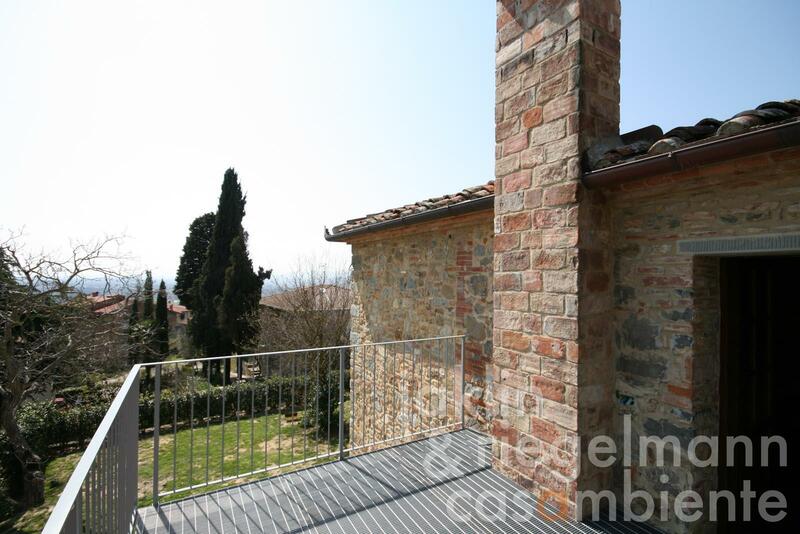 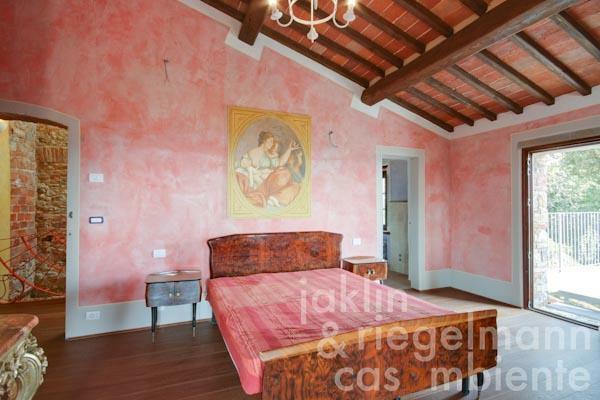 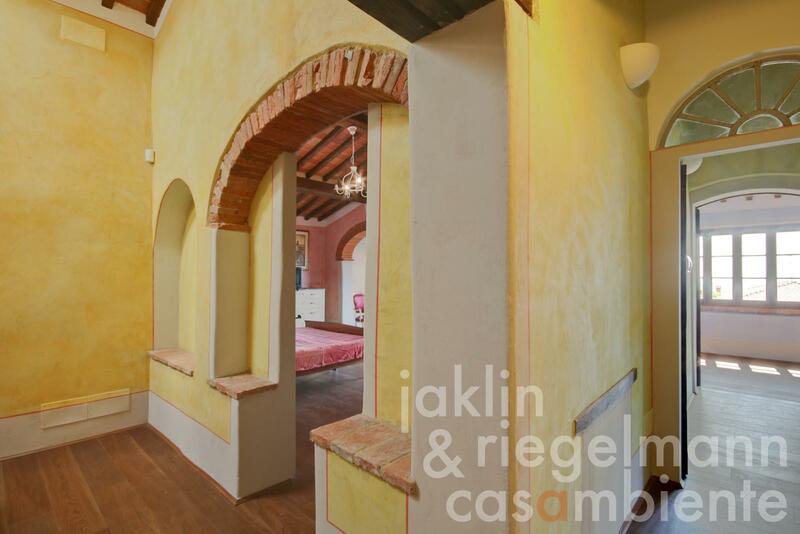 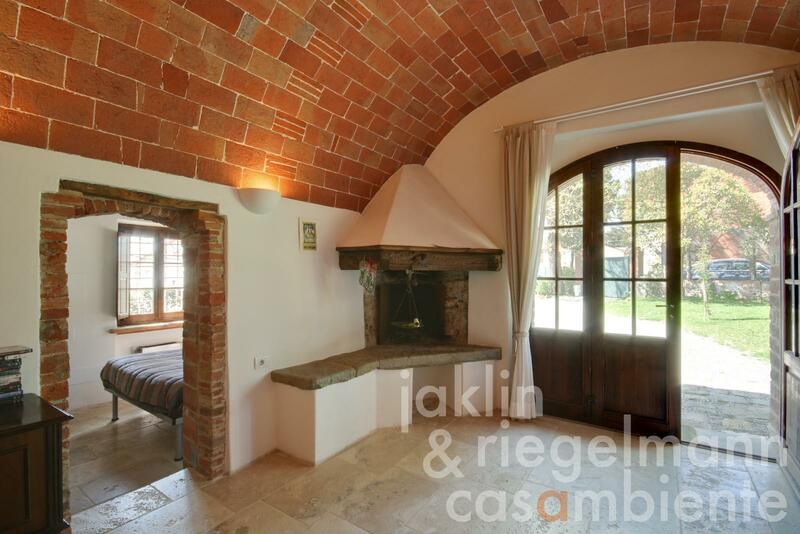 This town house for sale is situated very close to the old-town of one of the most beautiful small Tuscan towns between Arezzo and Siena with panoramic views towards south across the Valdichiana. 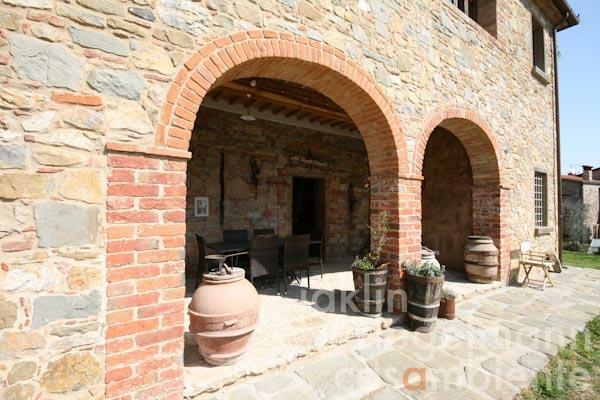 The property for sale is only two minutes away on foot from restaurants, cafés and shops. The surrounding garden of about 800 m² is fully fenced, has three access gates and offers good privacy notwithstanding its central location. The town house was restored in 2013 with outstanding care and on a very high quality level. 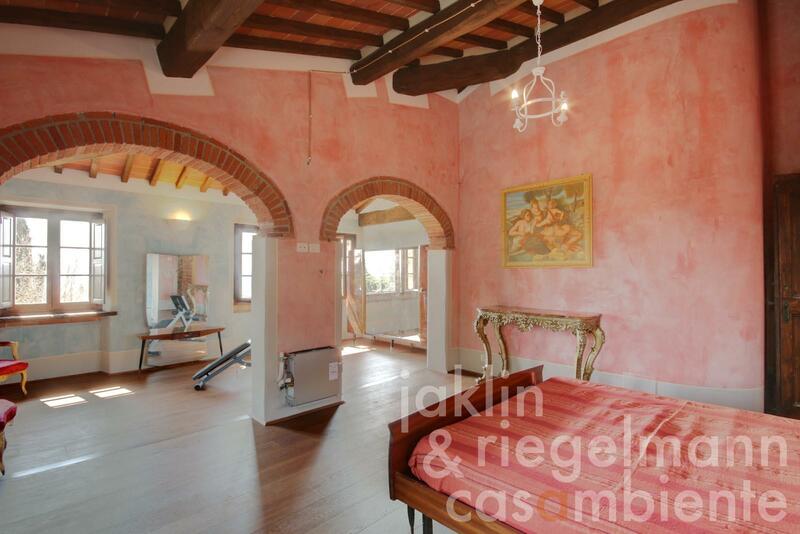 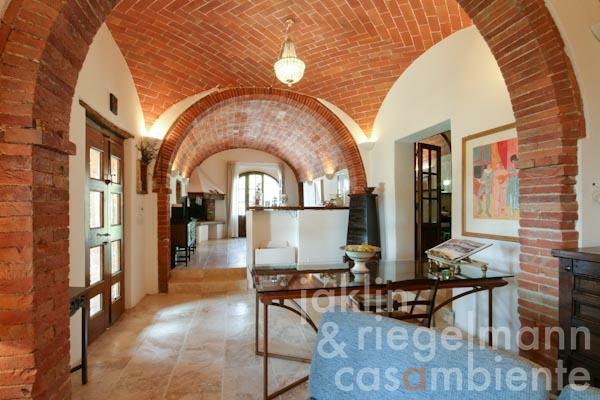 The impressive vaulted ceilings and the loggia on the ground floor are sought-after features of a classic Tuscan property. 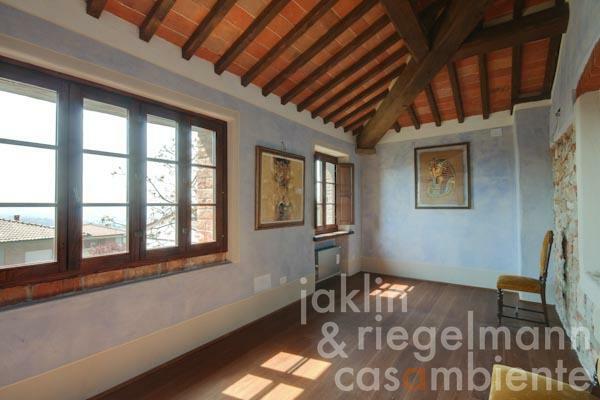 The layout is well thought-out and allows a fluid transition from the interiors to the loggia, garden and roof-terrace. 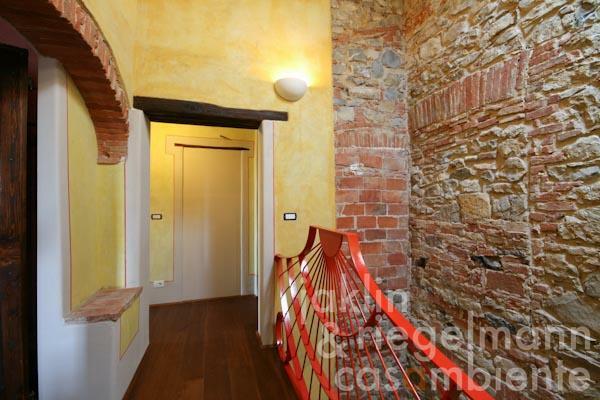 The house offers about 300 m² on two floors. 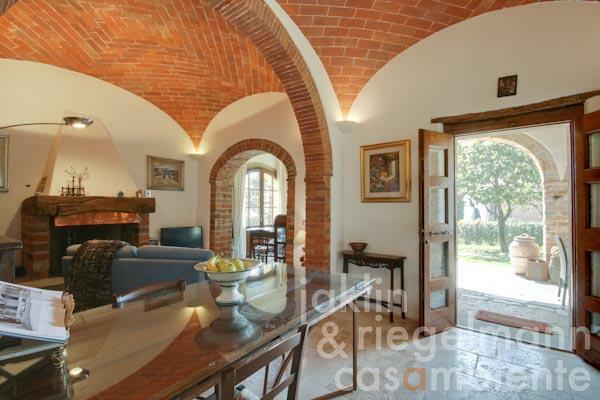 The ground floor comprises an entrance area and hallway, a spacious living- and dining area with vaulted ceilings and two masoned open fireplaces, eat-in kitchen, studio, bathroom and a double garage. The traditional building materials used are Cotto in the vaulted ceilings and Travertine flooring throughout the ground floor. The first floor offers three bedrooms, a studio, three bathrooms and a roof-terrace with magnificent views across the Valdichiana and neighbouring towns. 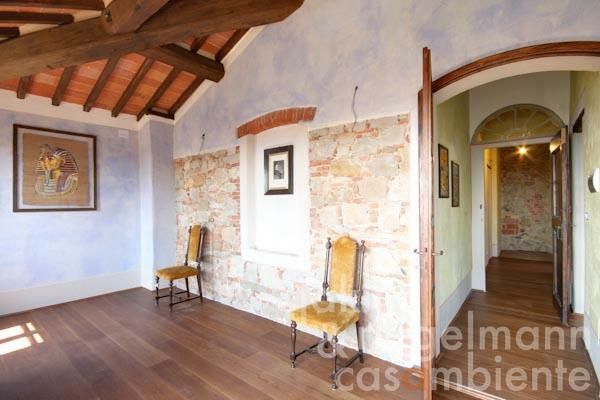 The floors on this level are held in solid oak. 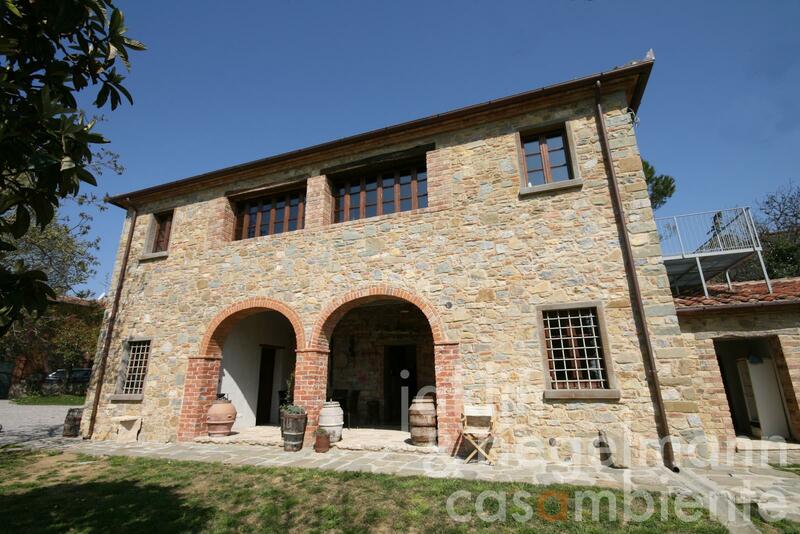 The garden design is still to be completed and a small swimming pool can be built. A wood-fired bread- and pizza oven is accessible from the outside. 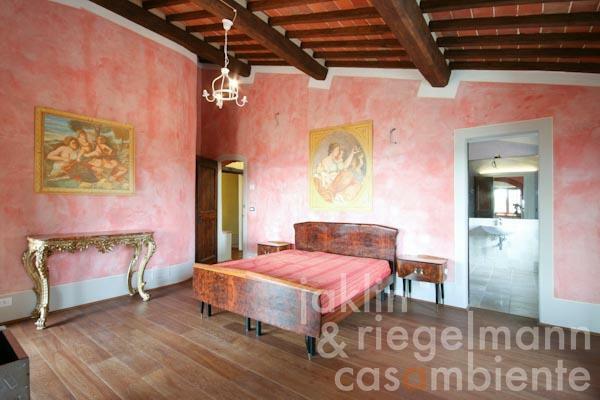 The property can also be used as a Bed & Breakfast. 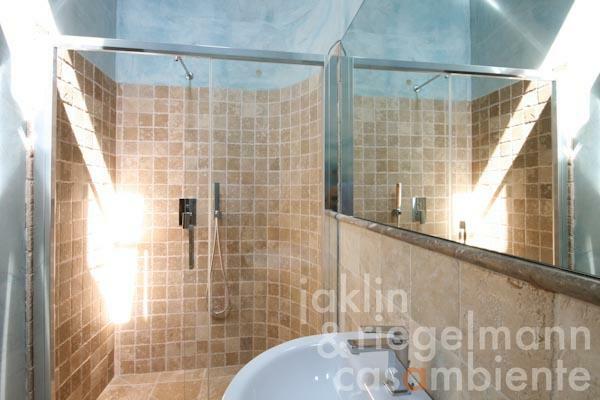 Electricity, mains water, central heating, fireplace, air conditioning, gas connection, telephone, broadband internet access, satellite-TV, roof-deck, garage, private parking, terrace, garden.